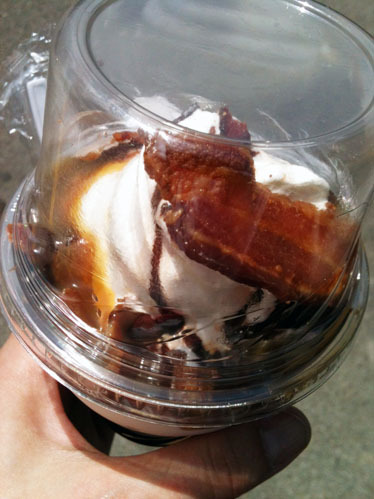 Oh yes, you read that right – bacon sundae. 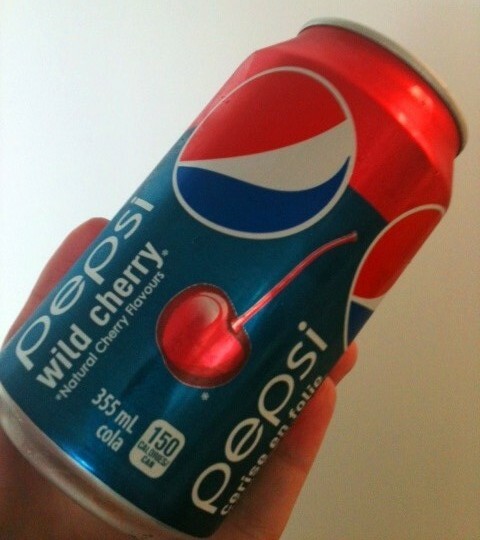 Half of you are now making disgusted faces and half of you are salivating. This treat is currently only available in the USA as Burger King doesn’t seem to think us Canadians can handle meat in a dessert. Unlike most fast food food, the reality of the sundae matched the look of the one advertised and even actually exceeded it – the sundae was much larger than pictured! For comparison’s sake – ad on the left, real on the right. Was surprised to get a full strip of bacon! How did it taste??? A-mazing. The sundae is vanilla soft serve with chocolate sauce on the bottom, topped with chocolate and caramel drizzle and a generous amount of real crunchy bacon chunks. A full strip of bacon is tucked on the side. The salty/sweet combination works surprisingly well and the crunchyness of the bacon provides a nice counterpoint to the creamy sundae. Would I eat it again? Heck yes.